You can visualize/draw up the various "Jobs-To-Be-Done" as you do for your customer, the different "Gains" you create and the different "Pains" that you solve with your Offers. You get a clear model and a simple framework for greater understanding for everyone at the company. 1 day BMG workshop. 8:30 - 16:30. Lectures and group work. To get to a dynamic workshop, there should be 8-25 people. Prerequisites: If you have taken part of Business Model Innovation Canvas - Get started, you might get a little more out of this. Otherwise: We make a quick re-cap. 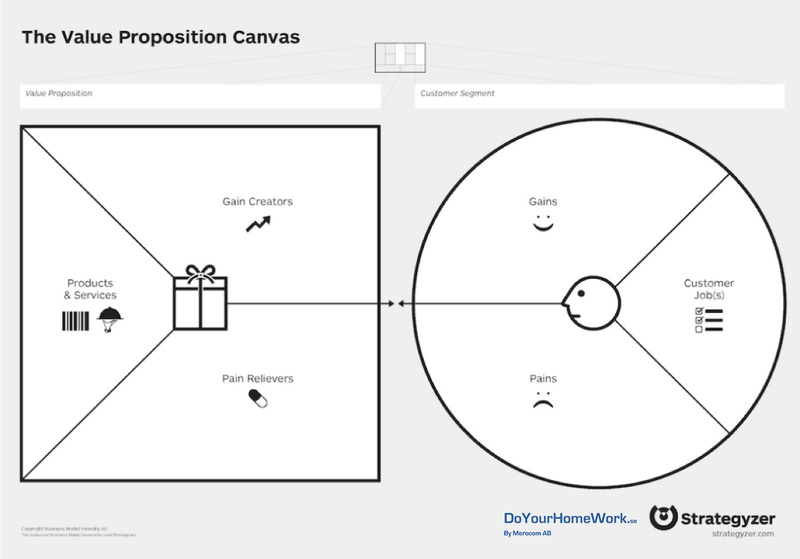 Inspiration and introduction to the Value Proposition model. Group work: Draw up a "Customer Profile", presentation. Group work: Draw up Value mapping between Value Proposition - Customer Profile, presentation. 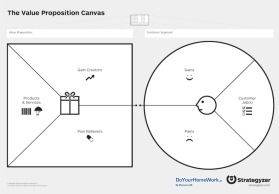 Group work: Put together a Value proposition canvas in a Business model canvas, presentation. Your tools to continue working on this. Take charge of the changes!